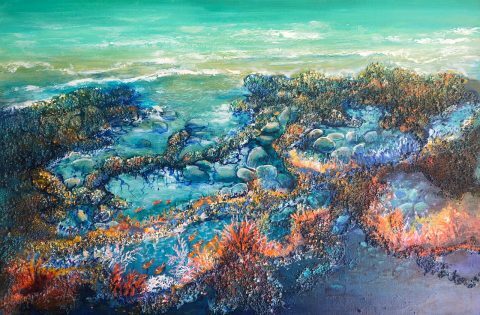 Robyn Schuberg lives on the northern beaches of Cairns in Far North Queensland. 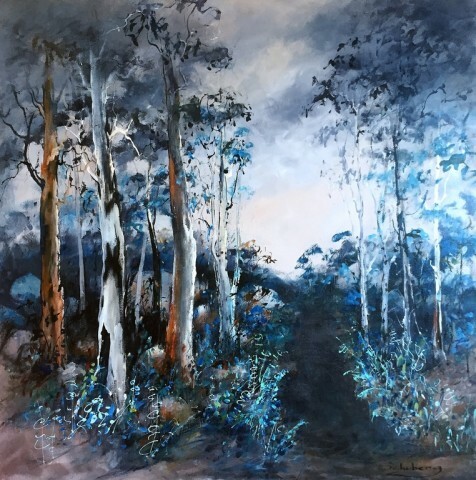 Robyn had always been passionately and emotionally influenced in her artistic expression by her environment her love of animals, birds and the landscape. 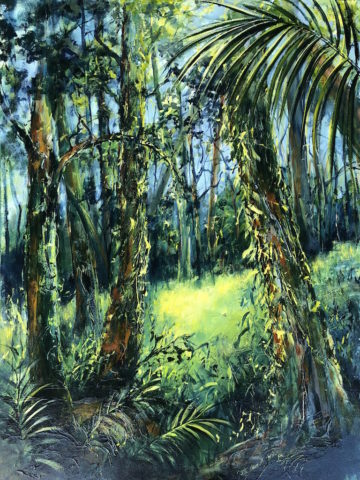 Daily she is overcome by this spectacular part of the world and compelled to express her passion for it in an all embracing pursuit in painting the emotion she experiences. 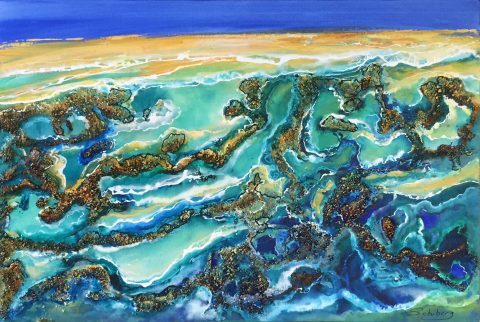 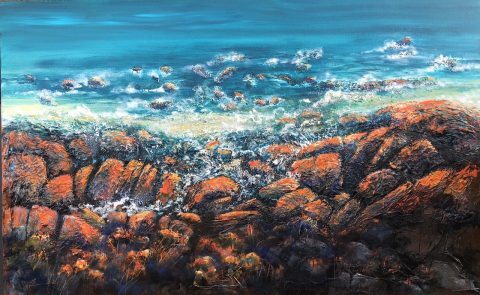 Her current diverse collection of work is a cognitive representation of the reef, the rainforest, and the beaches. 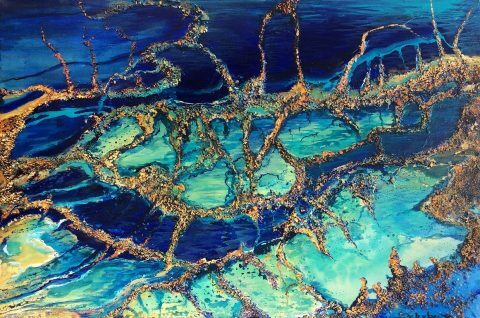 The work is executed in acrylic paint on canvas throwing washes and building in layers of mixed media in a textural tactile form using collage in an instinctive process.